Heart disease is the leading cause of death for both women and men in the United States whether they are caucasian, African American, Hispanic, or American Indian. In 2005, 652,091 people died of heart disease 27.1% of all U.S. deaths. There have been hundreds of new discoveries regarding the treatment and prevention of heart disease in the past few years. 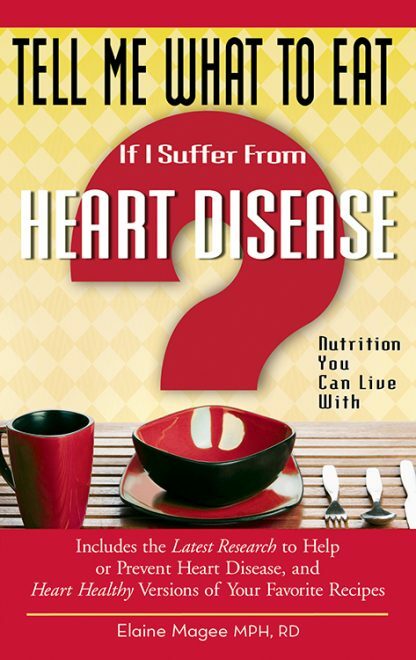 Tell Me What to Eat If I Suffer From Heart Disease incorporates all of this life-saving information and offers a plethora of practical tips that can stop, slow, or even reverse heart disease. How your waist and neck measurements put you at risk for heart disease and how best to change them. The 10 things cardiologists want you to know after you've been diagnosed with heart disease. 5 easy ways to dramatically cut your risk of heart failure. Specific foods that should be eaten almost every day to help protect your heart and arteries.